Feb 21, 2018 : Call for Visiting Chair Professor Applications. Apr 7, 2017 : Course Slotting for Jul-Nov 2017 Semester. 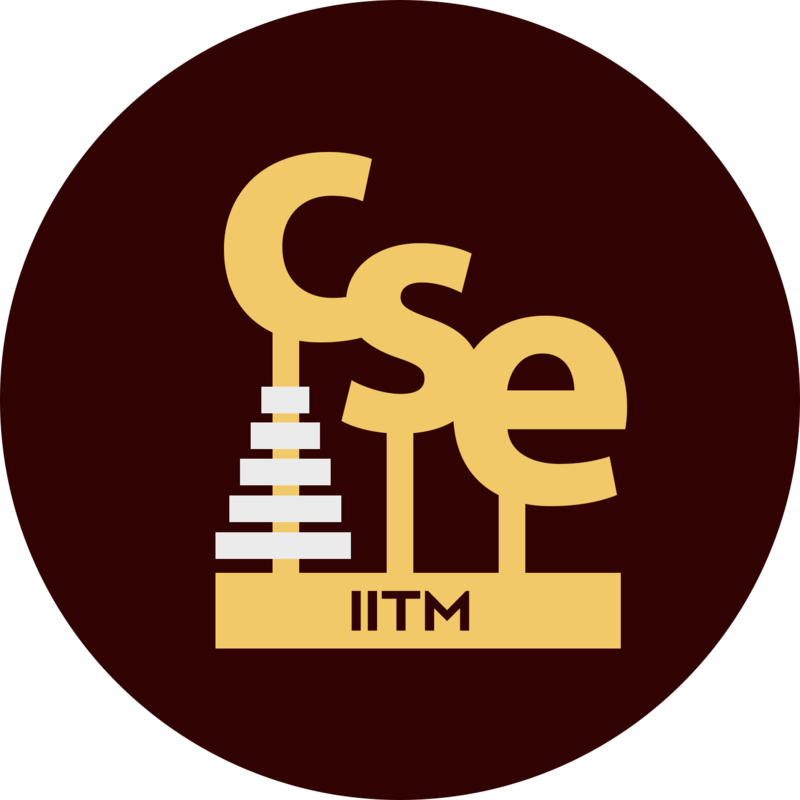 Apr 3, 2017 : List of Selected Candidates for Summer Fellowship Program (SFP) 2017, CSE Dept, IITM. Feb 24, 2017 : Kris Gopalakrishnan Endowment for Student Travel Awards - Application Procedure. Jan 10, 2017 : IITM Summer Fellowship Programme. Dec 16, 2016 : The Semi-annual Progress Report for MS/PhD Scholars is due by Dec. 25. Aug 6, 2016 : ISEA Fellowship for MS Students - Call for Applications. May 19, 2016 : MS-PhD Admissions - Results. May 22, 2015 : Biswajit Sain Memorial Awards for the Best MS Thesis (for the years 2014 and 2015) Announced. Feb 13, 2014 : IIT Madras invites Applications for Faculty positions. Last date : Mar 21. 2014.